A great addition to your Christmas Decorations. I was helping out at our Church’s Super Saturday and this is the craft I was in charge of. Isn’t it so cute! 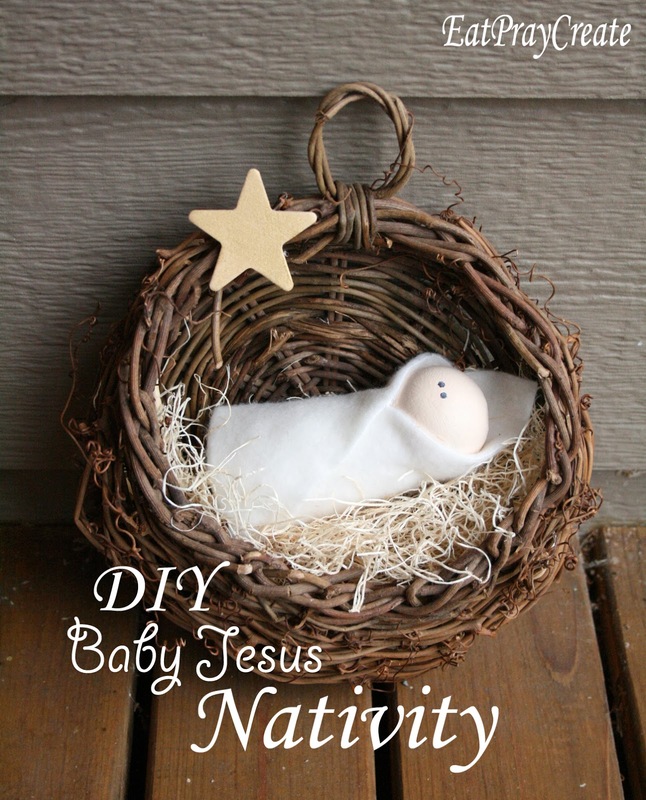 I got the idea from “Crafty Sisters” adorable Baby Jesus ornament. I simply “enlarged” their version and made it a cute Christmas Decoration you can hang on the wall. Crafty Sisters have a complete tutorial on how to make their Baby Jesus Ornaments over on their blog, check it out HERE. *Follow Crafty Sisters tutorial, with these few minor adjustments. -The square for the blanket should measure (6″x 6″) then cut off one corner 3″ down. And for the body (2″x 9″). -No need to drill a hole in your star, just paint it gold and hot glue to the top of your basket (we used Crafty Sisters tip for the heads and taped all the stars down and then painted them all at one time). You will not be needing the wire. *Here is what the baby looked like before I bundled him. 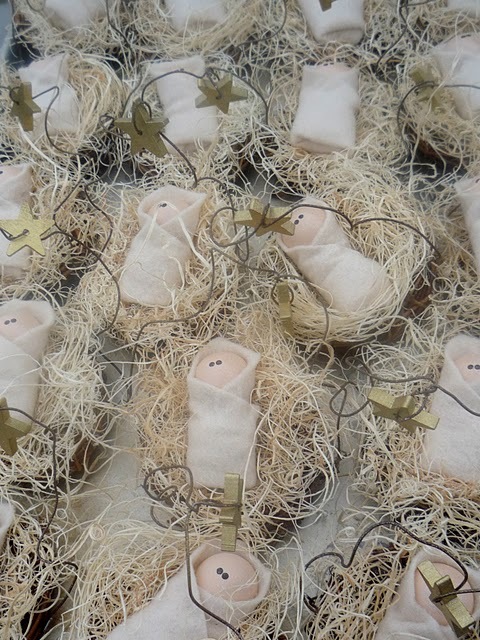 Make sure to hot glue your body and head in place before swaddling. Hot glue the edges as you swaddle the side, bottom, and other side. So simple, and so cute!! Don’t you just love this time of Year! Happy Holidays! Be sure to check out our ‘Felt Christmas Tree tutorial’ I know you’ll love it! What store did you buy the baskets from? What size are they? The baskets were donated to our church. I have seen them at JoAnns or Michaels before. Not sure if they still sell them. I think they would be in the flower making section or baskets. I don’t have mine anymore or I would measure, I would guess it is about 10 inches give or take. Hope that helps.